﻿﻿Keep watch over the things your care about. Camera Resolutions have changed dramatically over the past 5 years. The vast majority of cameras in use are still recording at VGA resolution or less. You can now upgrade one of those cameras to 2.1MP, using your existing cables for around $150 and get 6 times the clarity. In fact, we are now upgrading some of our clients to 8MP and above. 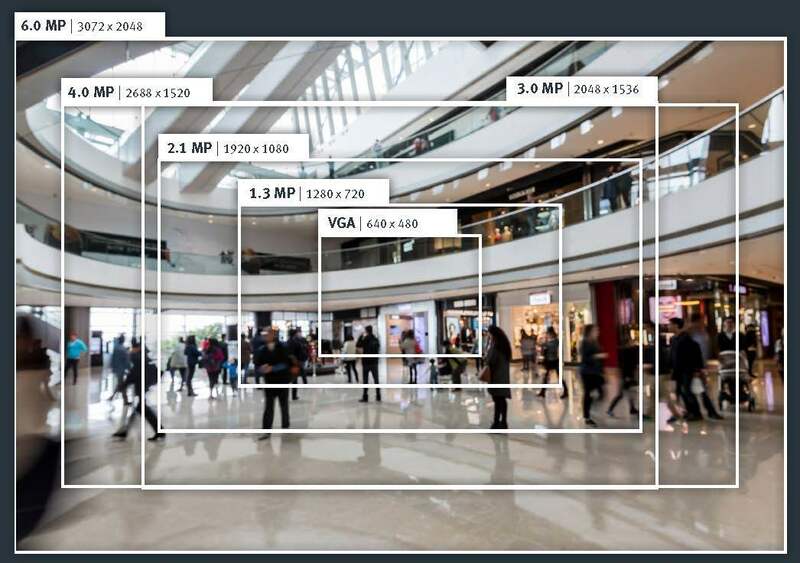 Most indoor applications are well served by 2 or 3MP cameras when the subjects are relatively close. For longer distances and larger spaces 5.0 to 8.0MP cameras are often the right choice. We will design your custom system to your surveillance specific needs. Deterrent – Video Surveillance serves as an effective deterrent. A thief will certainly think twice before targeting a home or business in the Kansas city area, where they know that a security camera is capturing evidence that can be used to identify them. It is therefore good to have signs posted that warn everyone that security cameras are in use. Peace of Mind – Perhaps the most important benefit of a video surveillance system is the ability of even just one or two security cameras, to let you know that everything is OK at your Kansas City Area home or business, even when you are away. You can use remote video surveillance to check on your pets, to see if your children arrived home from school or to see if an important package arrived. Apprehension – The video captured by high quality security cameras can help identify a criminal. In order to use the video as evidence in the Kansas City area, it is advised that signs be posted that inform visitors of the presence of security cameras and of 24/7 video recording. Cash Registers – Security cameras should be placed above cash registers to monitor the accuracy of check out processes. The transactions from the Point of Sale (POS) systems can be overlaid onto the video surveillance footage to make sure that the checker is ringing up items properly. 24/7 Professional Video Monitoring – Security Cameras can also play an important role in monitoring businesses when they are closed. A motion activated security camera can trigger our central station whenever motion is detected outside normal working hours. Our central station staff can view the video to determine whether or not a threat exists and contact the appropriate people or authorities. Video Alarm Verification – A Kansas City area alarm can be verified by the central station, before alerting the authorities to make sure the alarm is authentic and to help the authorities go to the right area of the property to find the intruder. This is done by pulling up live video from the security cameras when an alarm is received. Protect your Business – A security camera can also protect a business against fraudulent or inaccurate claims made by customers or employees. Video surveillance systems can record alleged incidents to determine what really happened. In order to do so, the cameras need to be positioned in the right locations and with good lighting so as to make sure that high quality video recordings are obtained. Safety – Security cameras can also protect Kansas and Missouri industrial customers by making sure that safety rules are being followed. Examples are whether or not fork lift rules are being followed, hard hats being worn, and access to certain areas only by authorized personnel. "you did absolutely everything you said you were going to do for the price quoted, explained things very thoroughly, technician was on time and very professional . . ."
Coaxial Cable is the most common method of connecting the cameras. A special cable called Siamese, combines an RG59 coax cable for the video along with two power wires to power the security camera. Ethernet cable can be used to connect both traditional analog and new IP security cameras. For IP surveillance cameras the Ethernet connector plugs directly into the camera and can even power the security camera using something called power over Ethernet (POE). For connecting traditional security cameras, a small adapter called a balun is used to convert between coax and Ethernet. 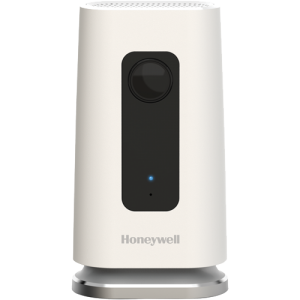 Wireless security camera transmitters and receivers can be used in cases where it isn’t practical to get a wire to your security camera from the DVR. It should be noted though, that the security camera and wireless transmitter will still need to get power locally. "I'm so glad I went with you"
"I'm really liking it. It's so easy to use, even the app. I forgot to set it once and got a reminder text and was able to set it from my cell phone at my appointment. Also like the feature of knowing that my pet sitter has come and gone."